Speaking of human rights, the accomplishments what Taiwan have done so far, make this place become the most progressive and supportive center of LBGTQ rights in Asia. After everything we have been through, there’s something more for people who dedicate on LBGTQ issue. For example, the foundation supporting artistic, and the discourse on contemporary art. Many people might still wonder what’s LGBTQ, and the title of this exhibition. Titled “Spectrosynthesis”, which combines two words “spectrum” and “photosynthesis” and explores “spectrum of light” as a central theme, the exhibition will shine a light on the LGBTQ community’s rich and diverse history. The rainbow, as seen in a spectrum, is a symbol of the LGBTQ community, representing its diversification. Light is a fundamental source of energy for life on Earth, nurturing all living species fairly and equally, and offering them life, hope and a future. Here’s the very first thematic exhibition on LGBTQ issues at a government-run art museum in a Chinese society. Co-hosted by Sunpride Foundation and the Museum of Contemporary Art, Taipei (MOCA), “Spectrosynthesis – Asian LGBTQ Issues and Art Now” (Spectrosynthesis) will be held at MOCA Taipei from 9 September to 5 November 2017. 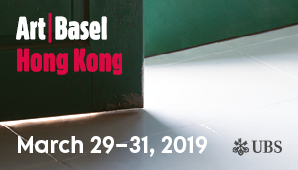 Around 50 works created by 22 artists from Hong Kong, Taiwan, Mainland China, Singapore, and also ethnic Chinese artists based in the United States and Canada will be presented. All parties involved in the exhibition take love as their starting point and I hope this will be the beginning of an open dialogue on the topic.” said Sean HU, curator of the exhibition. Under the vision of independent curator Sean HU from Taiwan, the exhibits touch upon a profusion of subject matters such as identity, equality, mass media’s propensity to hunt for novelty, social oppression, stigmatization, lust, as well as life and death. It represents the reality of LGBTQ people may be caught in on a daily basis, but also provide a comment on the evolving social structure which is very likely to change in the foreseeable future. Sunpride Foundation, a foundation of supporting artistic practice and promotes equal rights for LGBTQ, which supports artistic practice and promotes equal rights for LGBTQ individuals through meticulous research and discourse on contemporary art.